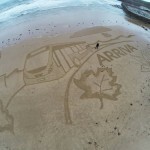 The Wheels on the Arriva Bus go round and round. 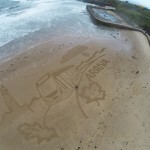 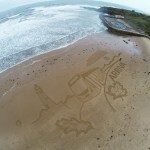 Yadgar Ali, Claire Jamieson and I journeyed to Tynemouth in the North East on a very blustery October day to make a sand drawing for Arriva Buses. 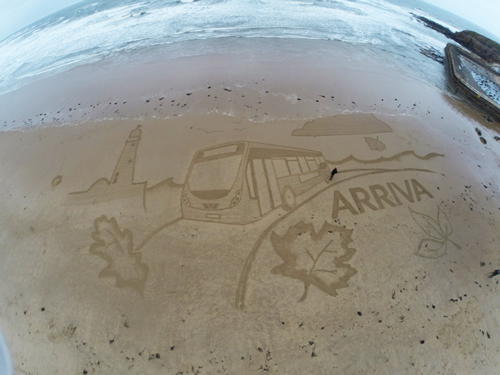 They are launching a new Eco-bus Coast Liner to take people from Whitley Bay to Newcastle and wanted a little help to get people to know about it. 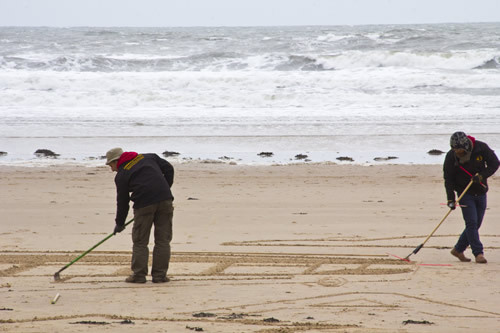 The waves were pretty huge but had left us plenty of beach with a wonderful fine sand perfect for sand drawing for us to work on. 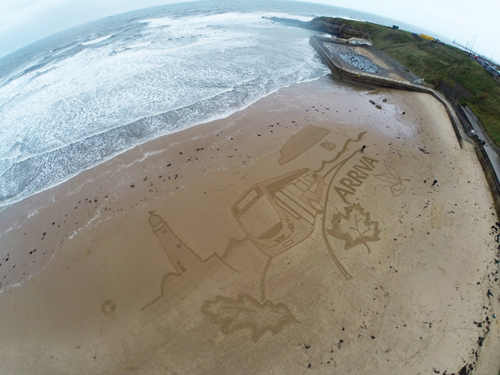 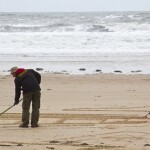 We cracked on, all the buses arrived and by 5pm we had finished our little sketch in the sand. 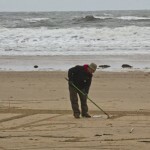 It was only then to pack up take a few photos and then drive home listening to Kurdish radio courtesy of Yadgar. 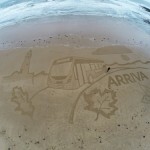 Hope you like the drawing!